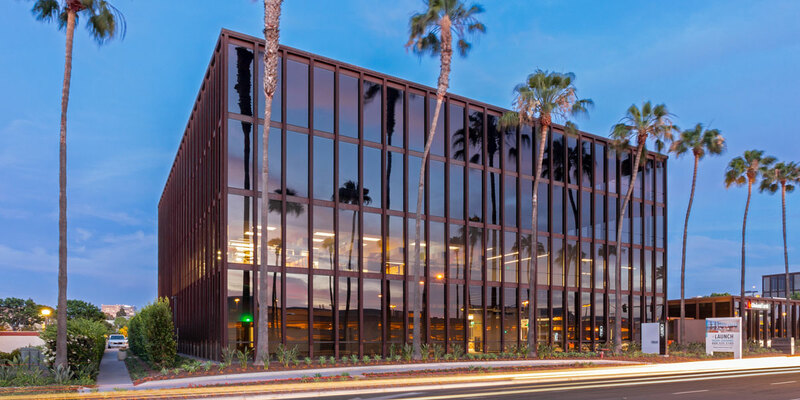 IRVINE, Calif. (April 16, 2019) — Irvine Company announced today that 18 companies have leased nearly 83,000 square feet at the newly reminted “The Launch,” making the creative workplace community across from John Wayne Airport more than 70-percent leased. The two office buildings, totaling 120,000 square feet, are home to top real estate firms, technology leaders and service providers. In 2017, Irvine Company took the remarkable step of emptying both buildings, formerly known as Airport Business Center, to modernize and add amenities, such as a fitness center, conference center and outdoor workspace, that appeal to forward-thinking companies. The multi-million dollar reinvestment was completed in January 2019. Built in the 1970s and designed by Craig Ellwood, the modernized campus features creative workspaces with abundant natural light, column free, exposed ceilings, and spaces with up to 16 feet of floor-to-ceiling glass – unheard of in older buildings. Office Furniture Group, a furniture and audio visual supplier for corporate interiors, healthcare, entertainment and hospitality, leased 11,629 square feet. SAA interiors + architecture, a commercial design and architectural firm, leased 6,679 square feet. Berkshire Hathaway HomeServices California Properties, a full service residential & commercial real estate firm, leased 6,538 square feet. Talonvest Capital, a boutique commercial real estate finance advisory firm, leased 2,333 square feet. The twin, 60,000 square-foot buildings are located at 18600 MacArthur Boulevard and 18650 MacArthur Boulevard. Both buildings, along with Bank of America and Union Bank branches, are directly across MacArthur Boulevard walking distance to the main entrance of John Wayne Airport, one of Orange County’s largest economic engines with an annual impact estimated at more than $6 billion and 43,000 jobs.